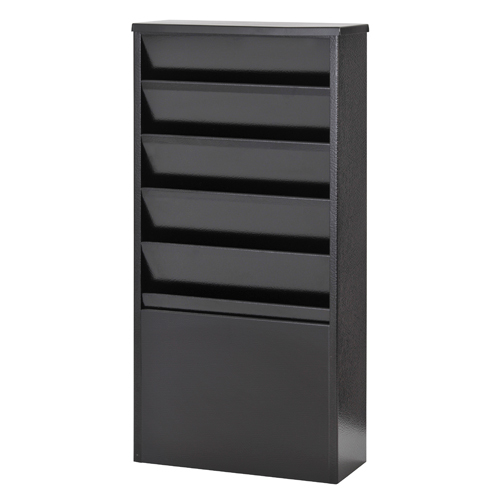 Space-saving wall racks feature a unique modular design that allows for the combination of units to create a custom display. Pocket measures: 9-1/8 x 3/4 x 10-5/8. Slotted for easy wall-mounting. Durable steel construction. 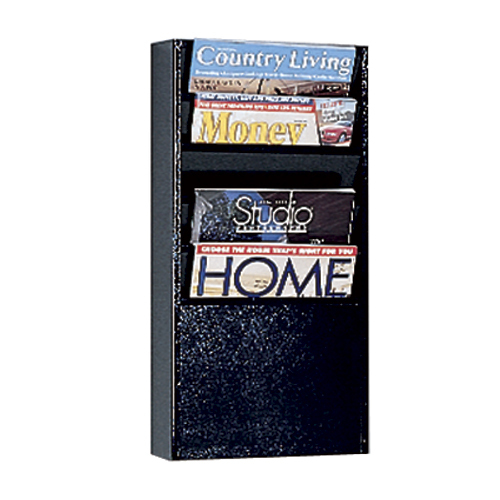 Optional Base (0817) available to convert this wall rack into a freestanding floor display.